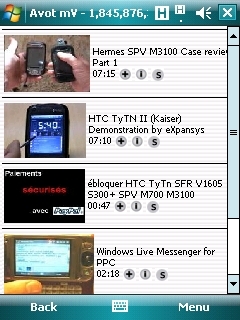 video freeware downloads for Windows Mobile Phone. More than 4500 free windows mobile games, apps and themes. 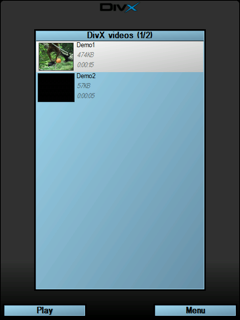 Download software for HTC Touch Diamond / Pro / HD2 / Fuze / Tilt, Samsung and other smartphones. 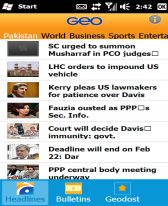 Internet, backup and social applications together with financial, weather, mapping and GPS navigation software absolutely free for Your Windows Phone. HTC HD2, Samsung Omnia etc. 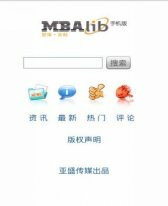 Summary: This mobile video client can show you the videos on our web http://www.umweb.cn , which are created by us and special for mobile phones. 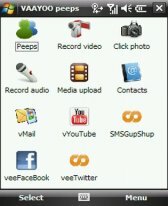 Summary: Vaayoo SocialBox(c) is an award winning application that combines social networking, media (pictures, videos and voice) sync, multimedia messaging and private communities in an easy to use mobile application. 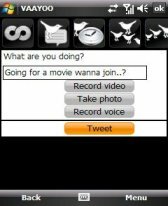 Summary: This is the Windows Mobile Pocket PC Version (Viewer) of PVD the very best program to organize your movies. 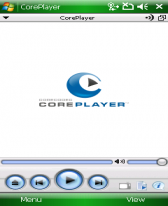 Summary: Pocket DivX Player is an open-source multifunction video and audio player for the PocketPC platform that can play DivX, OpenDivX, Mpeg-4, Mpeg-1 videos and Mp3 audio. Summary: Skyfire is a free mobile browser for Windows Mobile, watch web video, listen to web music, shop, and use social networks � just like your PC. It�s the PC web on your phone. Real fast. 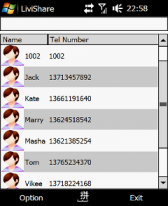 Reviews and guides for HTC, Samsung and LG windows mobile phones.